There are seemingly hundreds of real estate companies in Denver. And with each company come hundreds of brokers. When it comes time to buy or sell a home, all of these choices in brokers can be overwhelming. But all companies are not created equal. The Kentwood Company is a network of three offices and hundreds of professional agents, working together to buy and sell more real estate per agent, in Denver, than any other company. And one of their secret weapons is the pocket listing. But what is a pocket listing, you may ask? There is a vital timeframe in between the moment a broker signs a listing contract and the moment the listing is actually put on the market. It is almost as though the broker has a listing sitting in their pocket, waiting for news of the perfect buyer or the time to make the listing live. This is a pocket listing and when that broker is part of a larger network, it can be incredibly valuable, especially in a low-inventory market. For instance, each of the three Kentwood Company offices have weekly meetings, where brokers meet and talk about any new listings that might be coming up. With so many buyers interested in purchasing right now, if your Kentwood Company broker is getting ready to list your house, having them spread the word throughout the company can save you time and money. 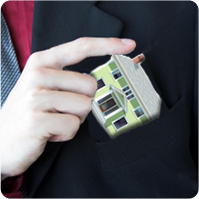 Knowing the answer to “what is a pocket listing” will keep you in the loop with your broker and increases the chance of selingl your house before it even hits the market. On average, 17% of the homes sold by the Kentwood Company are sold between two Kentwood agents. That means that these deals are completed quickly with less hassle and the maximum liability protection provided to each party as both agents are of the highest caliber. The whole real estate process is easier if the brokers personally know and respect each other. And working with a Kentwood agent is a huge benefit because at Kentwood, the brokers typically list over 100 properties every month! That is a huge network of pocket listings, new homes, and experienced agents that are working hard to ensure your experience is the best. The advantages of working with Kentwood are endless. Not only do you have your personal realtor working for you, you have the support and connection to three respected companies and hundreds of agents. Keeping in mind that pocket listings are beneficial, efficient, and frequent at the Kentwood Company, your most important decision in buying and selling a home just go a whole lot easier!